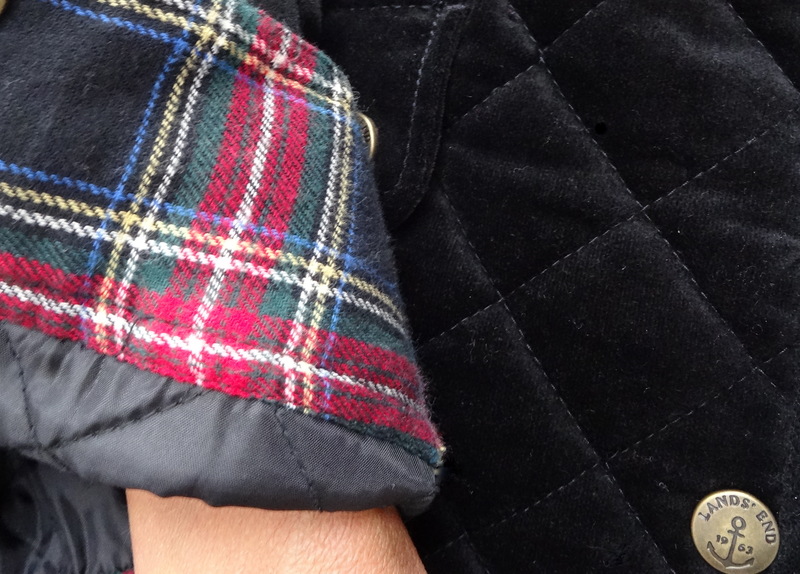 The star of this outfit is the buffalo plaid jacket, without question. It is a Thrift Store find. I bought it for $12.99, a complete steal. 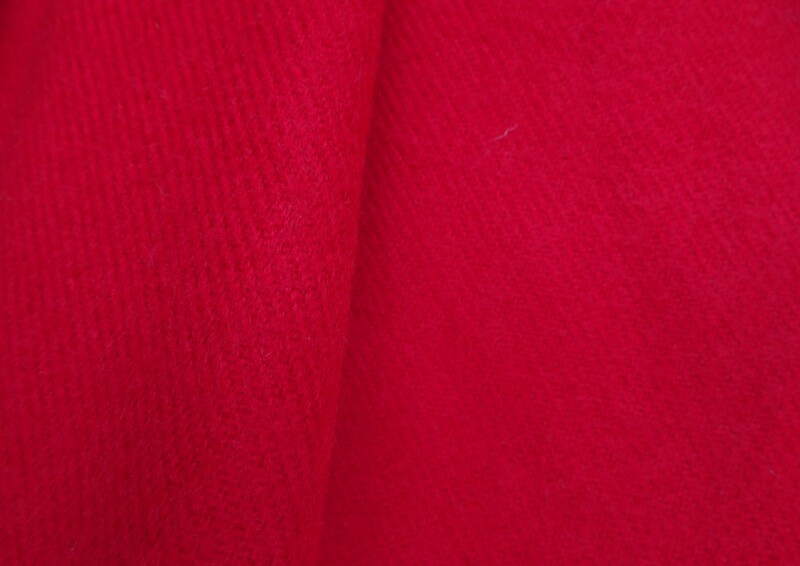 I love it and have worn it often this winter and now into the spring. This day I wore it over a monochromatic combo of black and charcoal grey. The faux leather leggings are from Target. 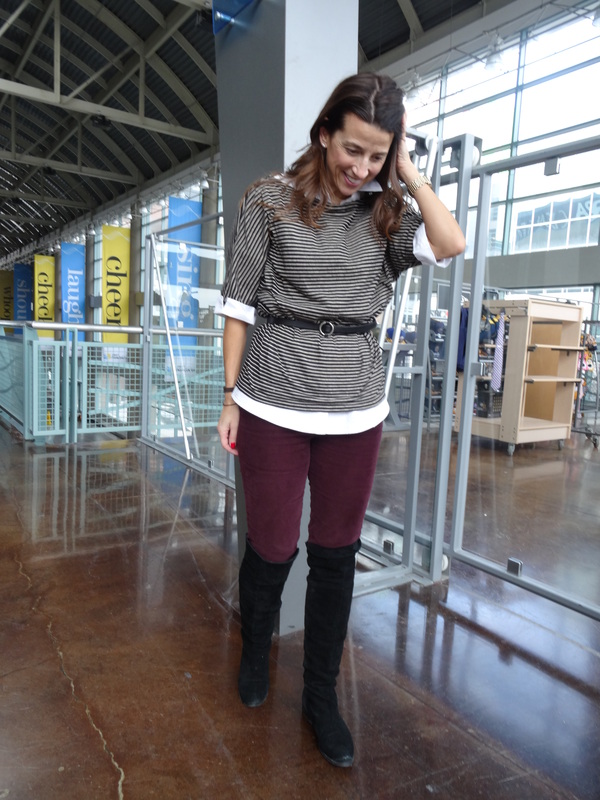 I wasn’t sure about them at first, but under a long tunic top — I they look great! The sweater vest is sooo old. A TJ Maxx find from long ago (also seen here) and the boots were my fave footwear purchase of last year (seen here and here) inspired by the one and only OP. Hat and gloves are from my local supermarket–believe it or not. Happy Friday! The weather we’ve been having the last few weeks has been perfect! Cool mornings giving way to warmer afternoons and plenty of sun! 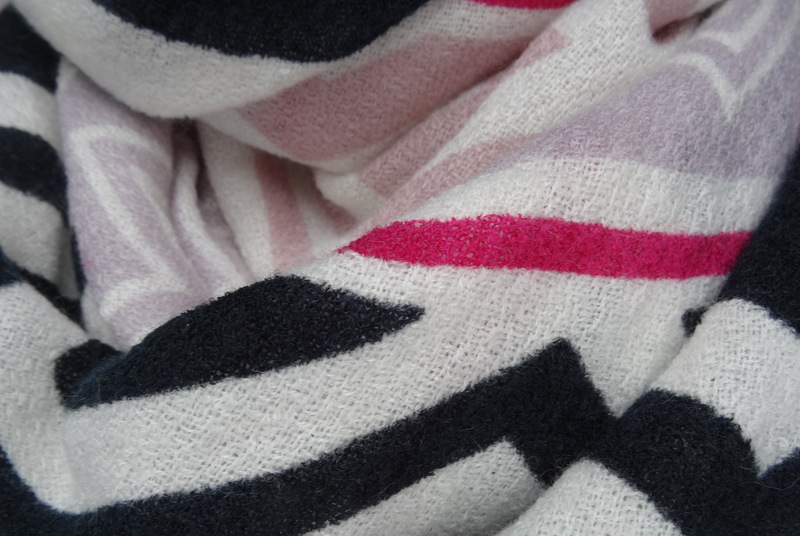 Perfect for lightweight layers. This latest dress is a wonderful addition to my closet. I found it on clearance at Ann Taylor Loft for $25. A summer to fall transition piece, sleeveless, fit and flare in an olive green camo-ish pattern. Today I’m wearing it with my INC short sleeved sweater coat, also seen here (which I remember buying the year of my 20th High School Reunion– so a long time ago), a Relic belt (sold here in black) that I happened to get at JCPenneys immediately before I found the dress (meant to be), black tights, over the knee suede boots (Chinese Laundry— seen here and here). 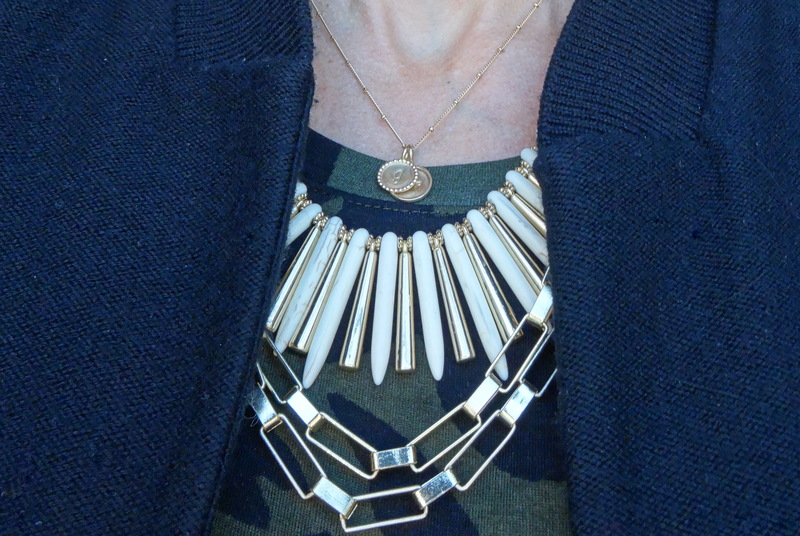 The necklace is also from Penneys. 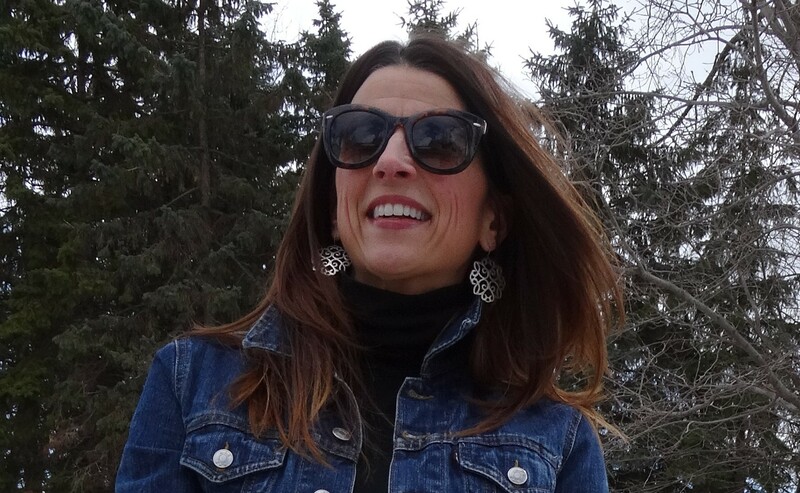 I found some great statement necklaces and earrings on clearance for insane prices… like $4 insane, I can’t remember what I got this one for but it is still for sale online. The blanket scarf from American Eagle (last winter –also seen here) in the top and bottom pictures was for that morning 34 degree chill. This is what I wore on March 17th. You’ve to go green, Irish or not, right? I searched my closet and tried on multiple options but in the end this outfit was the victor! I was volunteering at the school for Kindergarten Registration and you know what they say about 1st impressions, so I turned it up a notch. Plus it was a slightly warmer day so a skirt seemed like a good idea considering it has been much, much to cold to wear anything but pants in the last 2 months! I love this look because really, it doesn’t have to be just a St. Patty’s look. Black top, black tights and a colored skirt looks so simply sharp to me. Let’s start with the skirt, It’s a summer knit skirt and I usually wear it with a ribbed tank top and flip flops so it’s nice to see it finding a place in my winter wardrobe. It is old — 3 years, maybe. Marshall’s, of course. The black turtleneck from Target (this past fall) is amazingly soft and I like that the sleeves aren’t quite short, makes it less casual. My denim jacket (also seen here) is ancient– 15 years old, at least. It’s H&M and I remember when I bought it — Syracuse working my first publishing job. I have tried to replace it and made a valiant effort last year but to no avail. None of the ones I found were right. Mostly too long. I like this one because it’s short, but not cropped. I think a lighter washed one is in my future. Stay tuned. Black tights, my Chinese Laundry over the knee suede boots (seen here and here and everywhere!) balance the look. My ASOS blanket scarf (seen here, here and here)is the finishing touch because of the holiday and it is a bit chilly, so an extra layer never hurts. Accessories! Check out my new shades from Target. I love the thick bold tortoise shell frame. 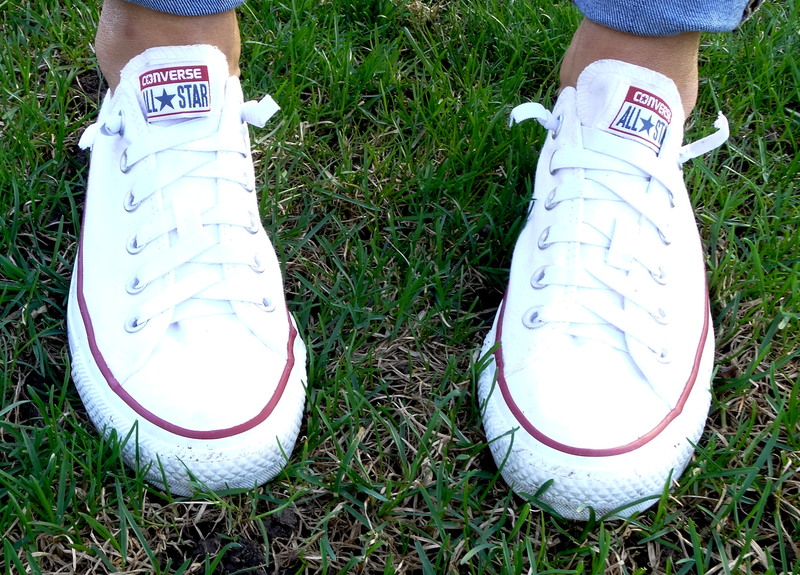 I’d bet they’ll be my go to this spring. My that girl (click here to read my That Girl story) earrings look kind of Gaelic, don’t they? Bag is Steve Madden and I bought it to imitate a Coach bag that I had to have but could never find. Belt is a skinny patent from Target. OMG, this was one of the busiest days I’ve had in a long time (as far as kids’ activities go). 2 hockey games in the morning, then another 3 at the Arena downtown, then out to dinner with family and friends and back downtown for the Sabres game. Whew. One outfit had to do it all…keep me warm, but also not too warm. Layers of course. I struggled putting this one together, knowing what the day was going to be like and not knowing how cold it was going to get, I wanted to be prepared. I hate being cold. Looking at the pics now, I don’t love every aspect of this outfit as I did on that day. But that is all part it, isn’t it? Hit or miss? 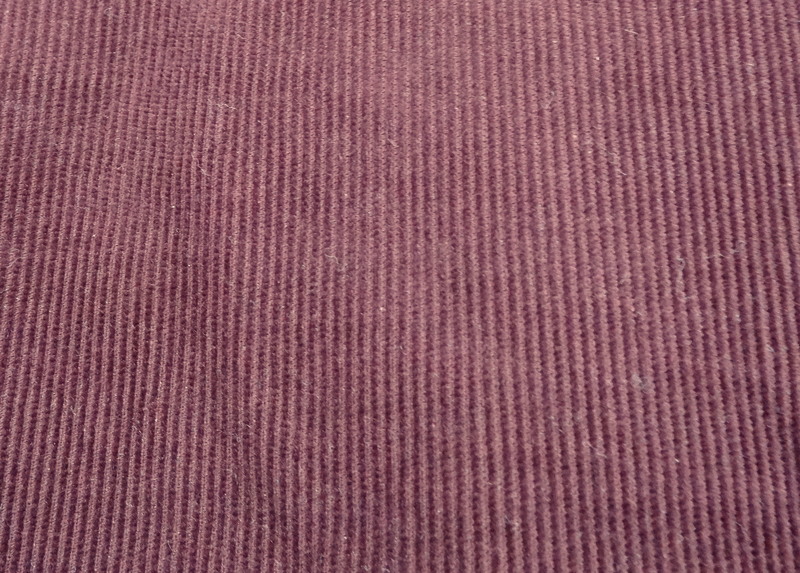 Marsala is the color of the year, that’s just burgundy, right? Well, that’s what I’m going with. I have a couple of pairs of colored cords and they are such an easy way to add color to your wardrobe. These are from Banana Republic (maybe 2 years ago). The shirt layering is combo of a long white dress shirt, I bought just after I had T. It came with a belt (shocking, I know) and I loved it because it hid all of my extra, post baby curves. 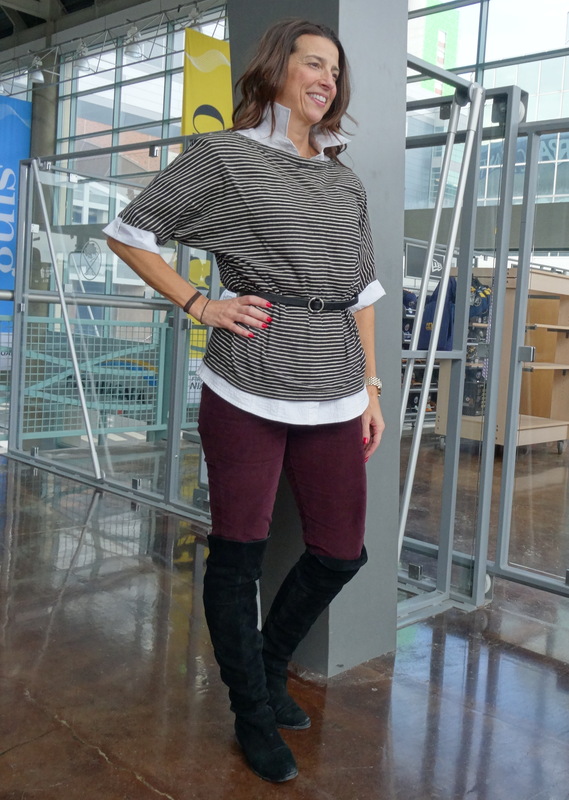 The sleeves are 3/4 and roll to short, but here I just left them rolled down and they perfectly matched the length of the striped dolman sleeve tee (also seen here) that is TJMaxx (2010). 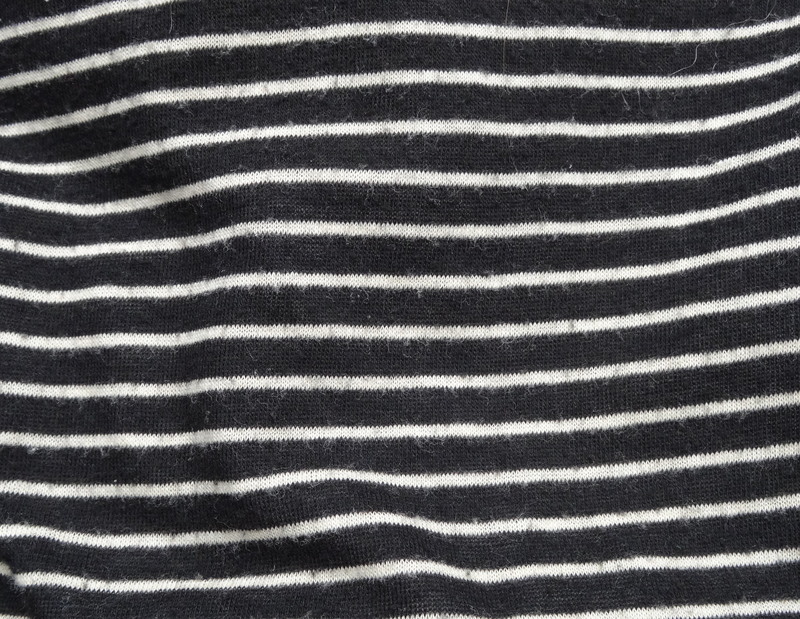 It’s a boatneck too, which I love. 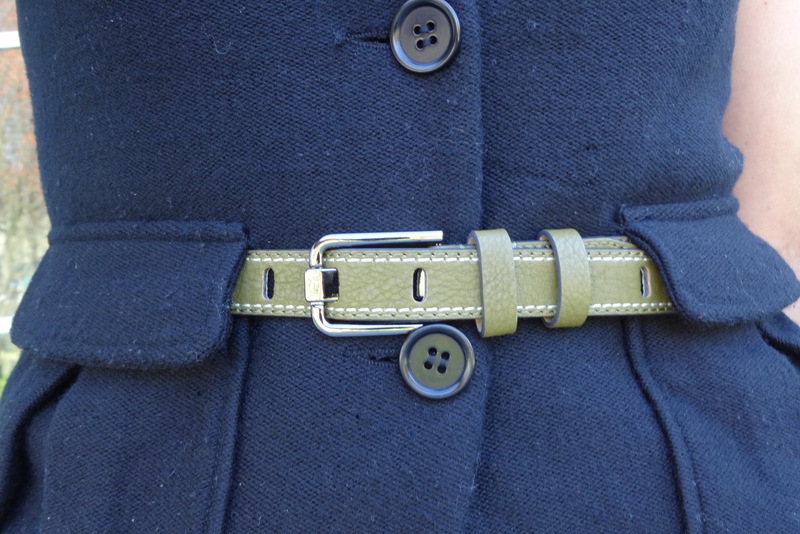 I have a matching fabric belt for the tee, but I thought something more structured was a better fit (belt is seen here and here). 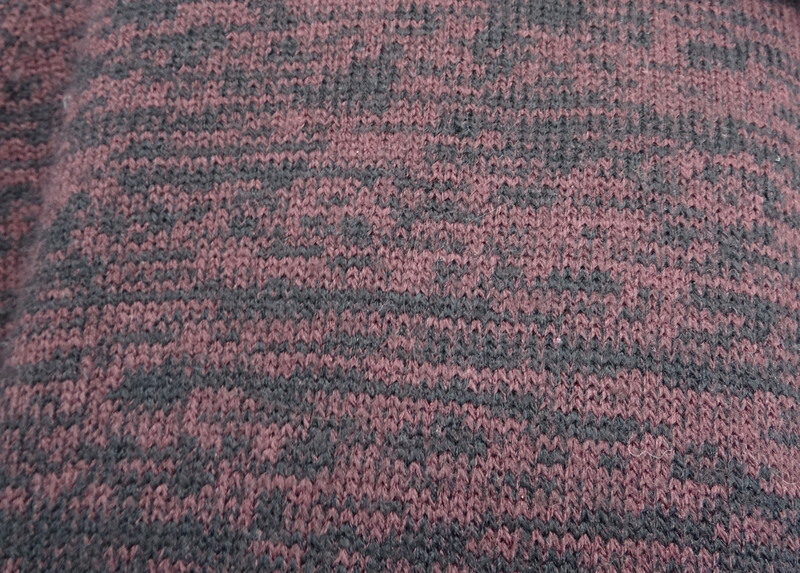 The next layer was an open front Cardigan (Kohl’s) from a few years back. And I topped it all off with my Lands End coat (seen here and here) and a trendy blanket scarf fro AE (seen here). A special thanks to my photographer, Gigi. My girl is too cute, we had a good laugh trying to get a decent picture. This day was filled with volunteering at the school. Library in the morning and helping with a reading event at lunchtime. Comfortable yet nice was the goal. An easy shirt dress to the rescue! This one is from that smokin’ GAP sale (the same one where I got this parka–60% off clearance price). If you are going to get one, I recommend you go smaller than usual. Gap runs big. I am usually a small, sometimes a medium, and for both the parka and the dress I went with the extra small. 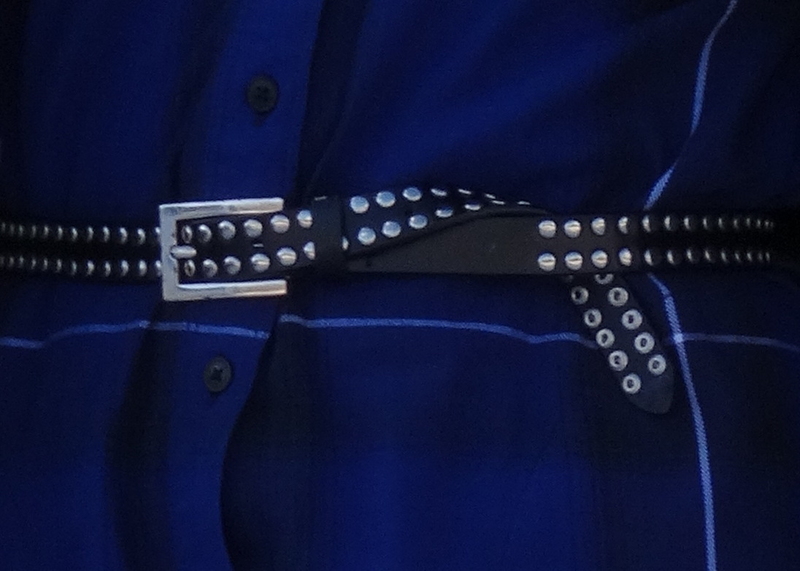 The dress came with a matching fabric belt, but I liked this studded belt (from my vast collection) better. It gave the outfit just a little more interest. Layering is a must to battle this frigid weather. This plain, white, long sleeved tee has a beefy quality (thick cuffs and collar) that brought a more casual feel to the outfit. Black tights and my ever present suede boots finish the look and for coat, I went with the Vince Camuto Boucle I bought at Marshall’s earlier this year (also seen here). 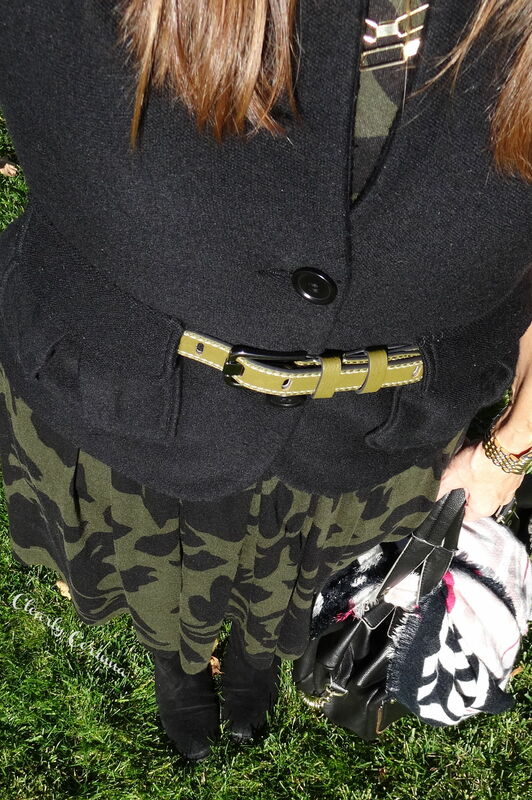 Shirt Dress / GAP, Coat / Vince Camuto, Boots / Chinese Laundry, Belt / old (I like this one too), Watch / Target. I can read your mind. More Plaid? YES! and this is not the end of it either! This blazer was a fabulous thrift store find. I could not resist. I thought it would be great with lots of things and for the price if I wore it twice, I’d be happy. I also thought I’d wear it sometime over the holidays but that didn’t happen so I am debuting it today. I layered it with a a small blanket scarf inspired by photos I’ve seen recently (I can’t remember where) and a belt. My denim dress (seen here with the same belt) from Kohl’s is over a light heather grey long sleeved shirt. I finished the look with black tights and suede over the knee boots (seen here, here, here and here), which are not warm at all but look so good with the outfit. Always rushing these last 2 weeks. Took a quick pic before leaving this day for Christmas with my brother’s family. 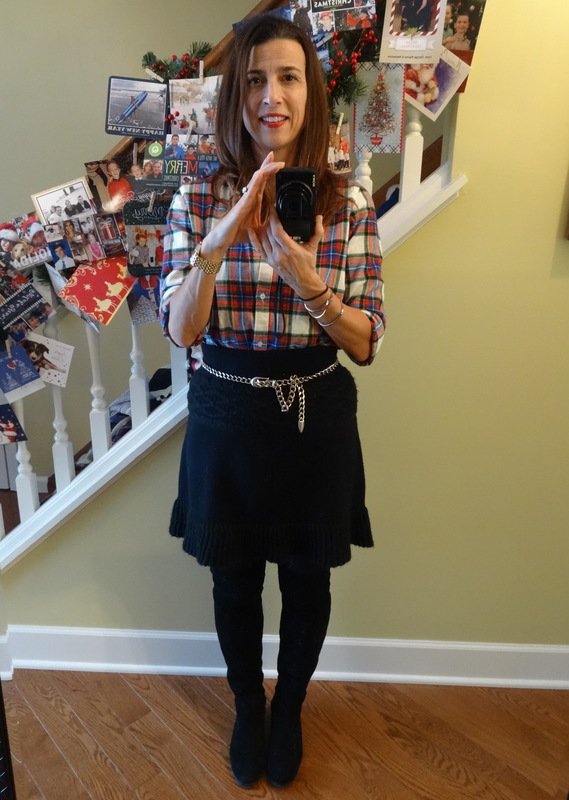 Same plaid shirt from earlier this week (I love it so much) with a knit skirt I found at TJ Maxx, black tights, over the knee suede boots and this gem of a belt I think I may have hijacked from my mother 30 years ago. This skirt has gotten some major wear since I bought it. It is just adorable and I love the detail just below the waist and the flutter at the bottom. It makes me look more hippy than I am, but it’s worth it. How was your Holiday? Mine was exhausting! As seen by my face in the pictures… should have worn sunglasses. I am trying harder to post more outfits so please focus on the outfit…not the overtired looking gal wearing the outfit. I’ve got a couple more to share from the last week of celebrations but today’s is casual for taking the kids bowling with some friends. 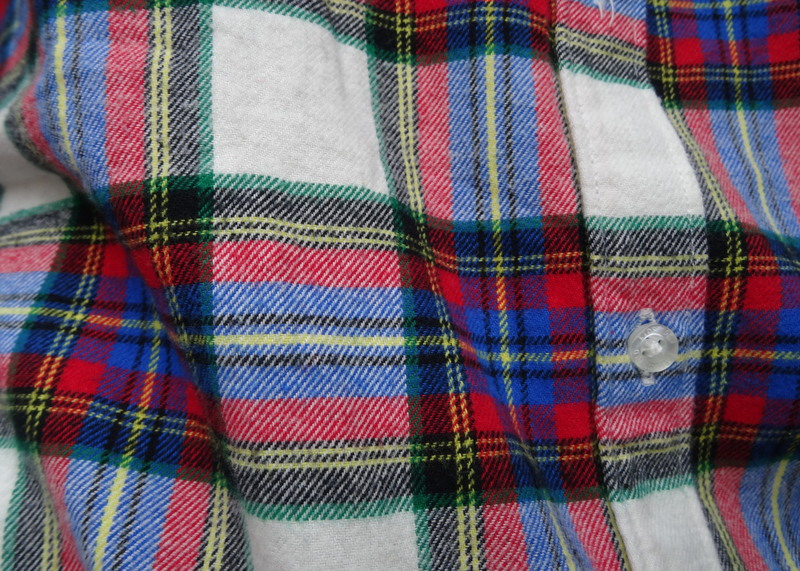 I love my new plaid shirt. 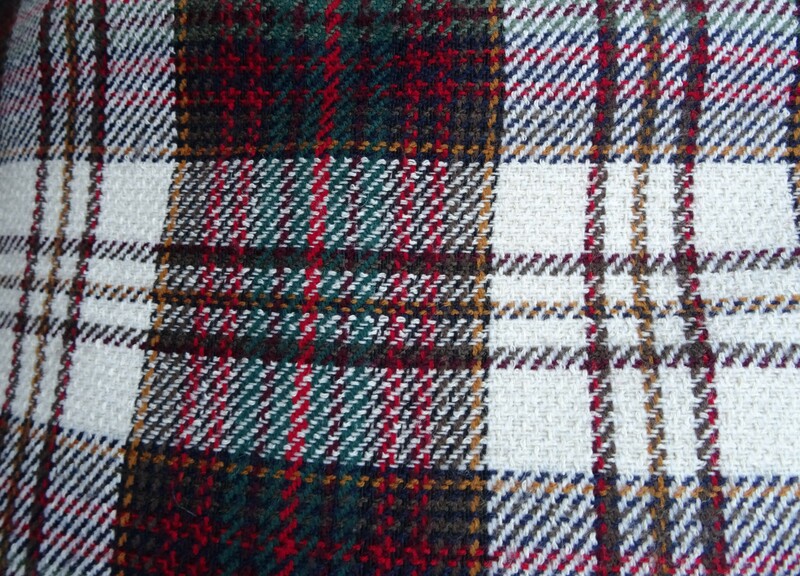 It’s in the Stewart Plaid I’ve been drooling over since the Lands End catalog came out. Black cords/Converse (Target), Boots, over the knee Suede/Chinese Laundry, Bag/Steve Madden, Denim Jacket/H&M (sooooo old), Scarf/? but have you noticed that scarves are being worn long like this now? Take note.